US Orthodox rabbinic organization says lawmaker slammed for video in gas chamber deserves thanks for speaking about Nazi atrocities. 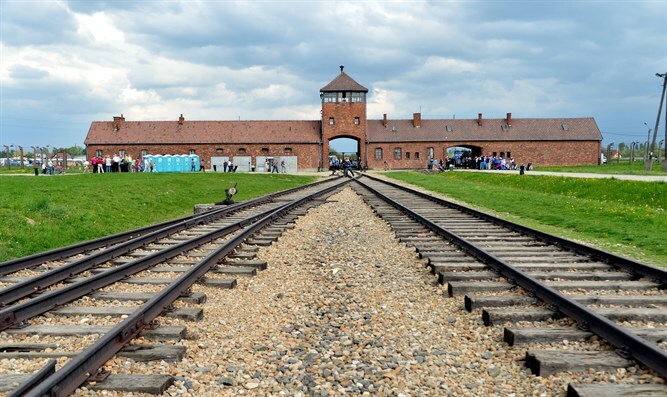 The Coalition for Jewish Values, an Orthodox rabbinic organization which represents hundreds of Orthodox rabbis in the US, issued a statement in defense of a US Congressman who recorded a video inside a gas chamber at the Auschwitz death camp, the Jewish News Service reported. Higgins, a first-term House Republican and former police officer, produced an edited, five-minute video of himself touring parts of the camp and narrating in somber tones, including inside one of the former gas chambers. The video was criticized by some as being political. Among those to criticize was the Auschwitz Memorial, which tweeted, "Everyone has the right to personal reflections. However, inside a former gas chamber, there should be mournful silence. It's not a stage." Higgins later apologized for the video and removed it.